Fear. It is a common enemy all of us encounter on a regular basis. 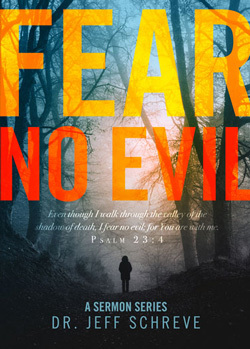 Fear keeps multitudes of people from walking by faith and doing the will of God. Fear must be understood so it can be overcome. In this three-message series, Pastor Jeff Schreve shares powerful insights to help you rise above your fears and believe God for victory.